International Long Distance Phone Service Provider Directory - Telephone Services and International Phone Service Directory. Are you looking for an international long distance phone service provider? Database Systems Corp. (DSC) provides the technology necessary to send and receive phone calls and messages. Our products include predictive dialers, IVR interactive voice response systems, ACD automatic call distribution, phone call recording and monitoring solutions, and voice message broadcasting systems. Besides offering systems for purchase, DSC has a comprehensive call center that lets our clients outsource their phone applications without the added expense of equipment and telecommunications. Our systems utilize long distance T1 phone lines as well as analog phone lines for long distance and local phone services. DSC, however, does not provide telecommunications and long distance and local phone services - thus we have created this directory for our clients who wish to obtain these services. If you are an international long distance phone service company or a telecom service provider and would like your website included in this directory, please use our Submit Phone Service Website form. It's FREE and simple to add your website. The following is a list of organizations that according to their website descriptions provide international long distance phone service. Database Systems Corp. is not affiliated with any of these organizations nor does it promote or endorse the products and services of these companies. These websites promote various types of phone services including international long distance service, local phone service, voip services and various telecom service, etc. PLEASE NOTE Information presented on this page was provided by each company or found on the website listed with this company. Database Systems Corp. does not warrant the accuracy of this information. For current information, please visit the website listed with each organization. Introducing the NEW AT&T Unlimited Country(SM) Plan for International Calling. Get More Mileage From Your International Calling from USA. The AT&T Unlimited Country(SM) Plan for International Calling lets you keep in touch with your loved ones any time, any day. Sign up now for AT&T international calling services and start enjoying the freedom of unlimited phone calling from home. BellSouth provides a complete suite of long distance voice and data solutions, the BellSouth� Business Class Family of Services. Toll-free numbers let your customers connect with you from anywhere in the United States, Canada and other countries. Flexible routing and control options let you tailor a toll-free calling plan to your special business needs. Colson Communications is a provider of International Telecommunications Services using wireless and land line voice communications. We currently provide International Dial Direct, International Callback, and Pre-Paid Calling Card Services to over 20,000 customers in 200 countries through a growing network of over 110 independent agents. By utilizing state-of-the-art telecommunications technologies, we are able to offer our customers competitively priced rates and value added services that compare favorably to the services offered by the government owned or controlled telephone companies ("PTTs") of most countries. Corporate/Business Calling Accounts - Best Business Long Distance Rates available on the market. By creating a business account, you can open an account for your whole company and assign individual pins to your employees who will share the minutes from the main account. You can check each individual employee's call records,the entire company's call records, and add and remove employees from the corporate account. GlobalTel is a service of InterActive Media Technologies, Inc., an international telecom services company based in Boca Raton, Florida, USA. GlobalTel has sales organizations in more than 75 countries and serves customers in more than 200 countries. The telecom services offered include Universal International Free Number (UIFN) Direct Dial service, Callback Service, GlobalTel USA Calling card service - a US & Canada domestic service, CallMeBack Prepaid Phone Cards for any country, switching and carrier services for resellers and phone card distributors. IBN InterTelecom is a provider of telecommunications and Internet services in the United States on both a retail and wholesale level. We offer a broad array of products and services, helping our customers capitalize on their respective opportunities for growth. With our low-cost long distance plan, you can call across the country, any time of day. There is no additional charge for extra lines on the same account. Switch to IDT and start saving on your very next bill. Switching to IDT is easy and safe. And your phone service won't be switched over until you're absolutely ready. So that we can check on service availability in your area, please provide us with the area code and first three digits of your phone number - which will be kept strictly confidential. MTS is Canada�s third-largest communications provider, with 7,000 dedicated employees focused on delivering outstanding value to its customers. Seamlessly blending innovative solutions and world-class technology, MTS connects its customers to the world. MTS serves enterprise and residential customers in Manitoba with a full suite of services ranging from wireline voice and high-speed data services, to next-generation wireless services, to MTS TV, through its MTS (Manitoba) division. Virtual Attendant is a powerful, automated call routing solution that allows businesses to connect wired, mobile, home phones and other Virtual Office extensions, regardless of geographic location, under a single primary phone number. Virtual Attendant can be used as either an independent service or in conjunction with an accompanying Virtual Office Service Plan. Callers are greeted promptly and professionally by an automated attendant that forwards the incoming caller to the designated numbers. Pioneer Telephone is a privately held long-distance service provider founded in 1989 and headquartered in Portland, Maine. Since inception we have been helping residential and business customers save money on long distance plans, toll free numbers, phone cards and more. As a leader in our industry, we specialize in providing quality long distance service at the lowest prices available. Qwest is committed to providing quality voice, Internet, data and video solutions to benefit residential, business and government customers across the country. We are deeply entrenched in our local 14-state western and mid-western service territory and strive to provide innovative, quality products combined with superior customer service. In addition, Corporate Sponsorship and Qwest Foundation opportunities demonstrate our commitment to rewarding the communities we serve. Qwest's more than 40,000 employees are committed to delivering world-class products backed by unmatched customer service. Whether you're a single household, a small business or a global corporation, from voice to data to video, Qwest has a solution just for you. Sprint Nextel: A legacy of innovation - We've combined two great traditions into a single company with an extraordinary record of achievement. With pride in our bold and entrepreneurial heritage, we'll continue to open new doors for our customers and our industry. International boundaries dissolve with T-Mobile International long distance, while the bonds between you and friends, family, or business associates become stronger. Great rates for calls, text messages, and e-mail give you the flexibility to stay in touch when you want to, how you want to, with people in more than 220 countries. 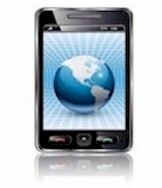 Call worldwide from the US�it's just as easy as picking up your phone. Simply dial "+" followed by the country code, city code, and local number. If you�d like, check our great rates or look up country codes before you call. Total Call International exemplifies their mission of providing superior communication services at an affordable price. The initial product line of Direct Dial Long Distance, Dial Around Service and Prepaid Phone Cards continues to be very popular; helping customers stay connected to friends and family around the world. In anticipation of the customers need for more communication choices, the selection of services now includes Internet Services, VoIP/Broadband Phone Service, and Mobile International Long Distance. There are so many advantages to using VoiceWingSM for your calling needs that we felt inclined to point them out. In addition to all the features jam-packed into this service, you can also take your phone number wherever you go, make calls from anywhere and access your online Personal Account Manager as long as there is a broadband connection. So no matter how far away from home you may be, the convenience of calling from home doesn't have to be. Using an existing high-speed Internet connection, Vonage technology enables anyone to make and receive phone calls - worldwide - with a touch-tone telephone. Offering quality phone service bundled with enhanced IP communications services, our interactive communications portal is a gateway to advanced features only available through digital telephone service. Utilizing our global network and advanced routing technologies, Vonage offers an innovative, feature-rich and cost effective alternative to traditional telephony services. Database Systems Corp. provides both digital and analog telephone systems. PACER and WIZARD telephone systems are outbound phone dialers and inbound answering systems that process calls for a wide variety of call centers. Phone calls are either initiated by the phone system or accepted from the outside and distributed in an intelligent fashion to telephone service representatives using our award winning Interactive Voice Response software. 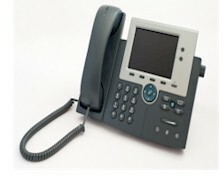 The phone systems also include voice broadcasting and call recording and monitoring capability. Using industry standard components, the PACER and WIZARD phone systems have features and functions that can only be found in large scale PBX�s and both include predictive dialing capability that cannot be found in most of these larger phone systems. These contact center phone systems can connect calls to employees who are working at home or in a local or remote offices. Our intelligent phone systems communicate with applications written on Unix, Linux, or PC servers over a LAN. Contact DSC to learn more about our telephone systems and services.